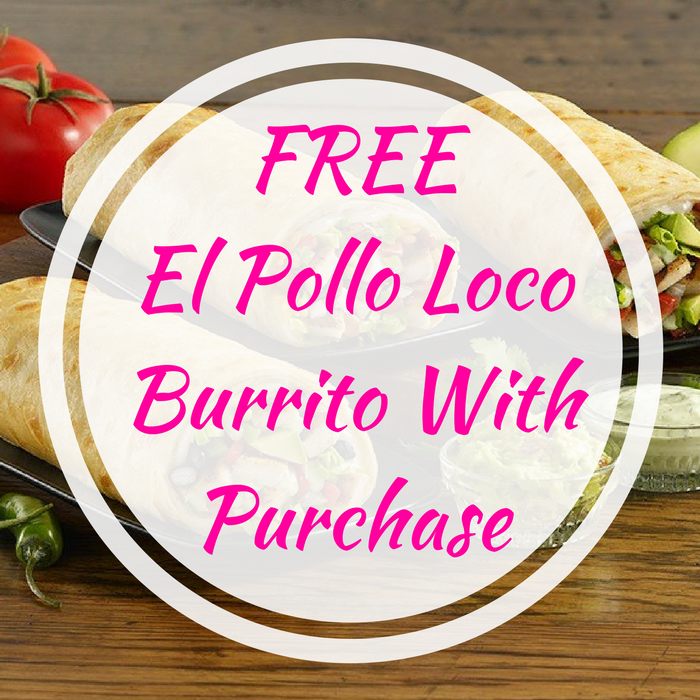 FREE El Pollo Loco Burrito With Purchase! You are here: Home / FREEbies / FREE El Pollo Loco Burrito With Purchase! On April 5 only! In celebration of the National Burrito Day, El Pollo Loco will be offering a FREE El Pollo Loco Burrito with a regular purchase! All you need to do is print or save this coupon to your phone. Please note that there’s only 1 limit per person.